Kelle Groom's memoir, I Wore the Ocean in the Shape of a Girl (Simon & Schuster), is a Barnes & Noble Discover Great New Writers pick, New York Times Book Review Editor's Choice selection, a Library Journal Best Memoir, Barnes & Noble Best Book of the Month, Oprah O Magazine selection, and Oxford American Editor's Pick. Her four poetry collections are Spill, (forthcoming from Anhinga Press), Five Kingdoms (Anhinga Press), Luckily (Anhinga), and Underwater City (University Press of Florida). 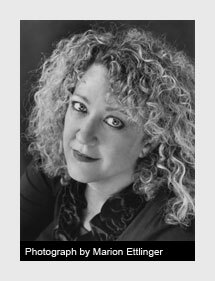 Her work has appeared in AGNI, American Poetry Review, Best American Poetry, The New Yorker, New York Times, Ploughshares, and Poetry, among others. A 2014 National Endowment for the Arts Literature Fellow, Groom's honors also include fellowships from Black Mountain Institute, University of Nevada-Las Vegas in partnership with the Library of Congress, Djerassi Resident Artists Program, James Merrill House, Millay Colony for the Arts, Atlantic Center for the Arts, Virginia Center for the Creative Arts, American Antiquarian Society, and Ucross Foundation, as well as two Florida Book Awards, a State of Florida Division of Cultural Affairs grant, and Barbara Deming Memorial Fund grant. Groom was Distinguished Writer-in-Residence at Sierra Nevada College, Lake Tahoe, where she is now on the faculty of the low-residency MFA Program. Former poetry editor of The Florida Review, she is now a contributing editor. Groom lives in Provincetown, Massachusetts where she is Director of the Summer Workshops at the Fine Arts Work Center.